Shechter, Shibboleth (2018) Making Together: Three Little Tea Rooms, Details and Spaces, Re-constructing Garden. IE:Studio, 1 (2). 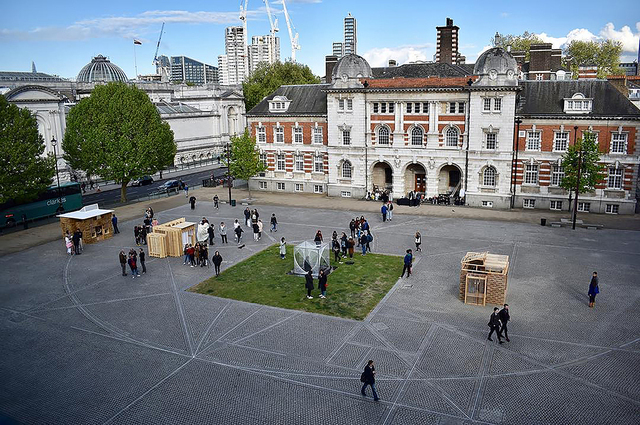 The article describes and reflects on three 1:1 construction projects, undertaken between 2014-17, each with a cohort of first-year BA (Hons) Interior and Spatial Design students at Chelsea College of Arts (University of the Arts London). Three Little Tea Rooms, Details and Spaces and Re-constructing Garden are part of an ongoing collaboration between the course’s staff and students, architect Takeshi Hayatsu, the College’s workshop technicians, the local community of Millbank (the College’s neighbourhood) and others. All three projects explore the transition between drawing and building; the importance of scale and how diverse materials and different methods of construction influence the quality of the spaces they produce. The briefs offered students, at a very early stage of their professional careers, an opportunity to be involved in ‘live’ construction projects, with tight budgets and timescales, working alongside architects and other professionals. Importantly, all three projects introduced first-year students to collaborative practice. Drawing on student and staff feedback, this paper considers what impact the projects had on the cohort’s social dynamic, on their studio culture and on their growing understanding of the importance of skills for working with a variety of people from a wide range of backgrounds.